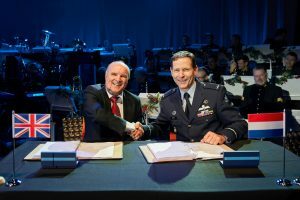 Alistair McPhee, Chief Executive of Marshall Aerospace and Defence Group shaking hands with Air Cdre Richard Laurijssen, Director of Sustainment and Logistics & Commander Logistics Centre Woensdrech, following the signing of contract with the Royal Netherlands Air Force to sustain its C-130H fleet through to its out of service date. officials from the Defence Materiel Organisation (DMO) and the Royal Netherlands Air Force. “We wish to thank the Royal Netherlands Ministry of Defence for the trust they have shown in Marshall to be their long-term partner for both this C-130 sustainment project and also the recently signed DVOW contract,” added Mr McPhee. 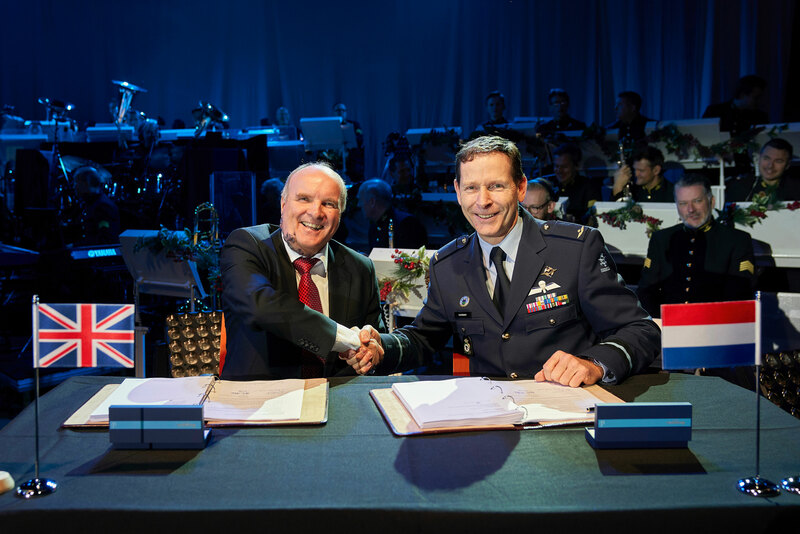 Representing the Royal Netherlands Air Force at the signing ceremony in Eindhoven, Air Cdre Richard Laurijssen, Director of Sustainment and Logistics & Commander Logistics Centre Woensdrecht said, “This contract is a further step into modern sustainment and logistics for our C-130 fleet. Our job is about availability and affordability for the RNLAF and this modern approach is needed for that.